As I write this at the start of another year, many of us have made resolutions to lead a healthier lifestyle. This is particularly the case if you over indulged during the party season. Your body may now be crying out for a cleanse and reboot. If you are reading this later in the year it is quite likely your new year resolution has not panned out as you planned. If either situation sounds familiar then read on! A short juice detox can be one of the most effective ways of detoxifying your system, offering your body the chance to heal after a period of unhealthy eating and drinking. However, the ideal situation which we advocate is to have a more sustained approach, making regular fresh juices and smoothies part of your daily diet. 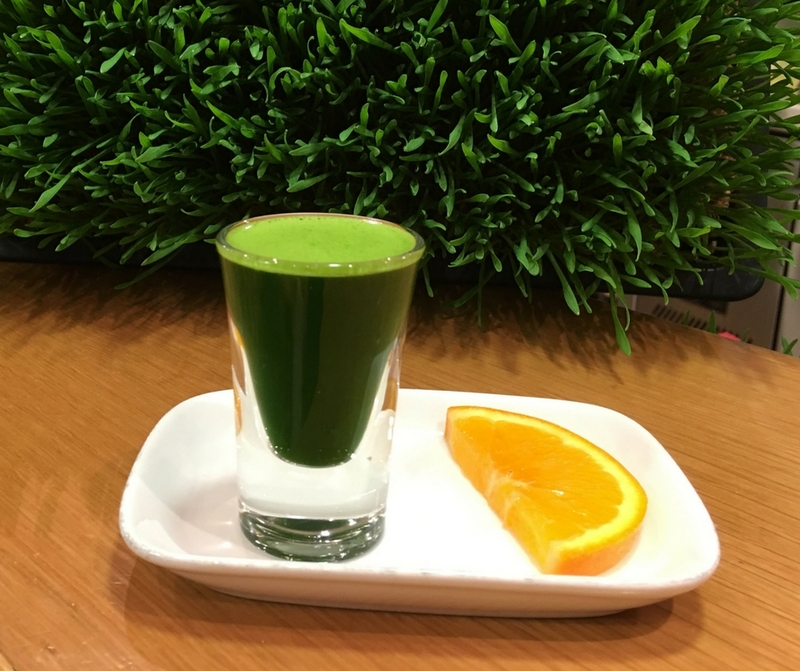 Whether, it’s a wheatgrass shot, daily flu shot, or one of our regular or special juices, we have something to suit everyone. We have many regular customers in both our shops who are benefiting from one of the easiest ways to get your recommended daily intake of fresh fruit and vegetables. As we say, a Barannes juice is the easiest way to get your 5 a day! Our juice menus contain a mixture of pure squeezed juices made with fresh ingredients and smoothies which contain fruit and vegetables blended together to obtain a thicker drink. Smoothies are also made with non-dairy milks and a variety of health supplements. With this range we can guarantee there is something for all tastes. Look out for the blackboards in our shops for this months specials, or online on our website. Why not bookmark our online menu, https://barannes.shop/juicemenu/, which always has the monthly specials listed at the top. If you still feel you need something more serious then why not go for a detox? Our dedicated juice detox programmes come in packages starting with a single day up to 7 days. Our most popular programmes are the 3 and 5 day Signature Detoxes. There's also the added benefit of helping you shift a few excess pounds! A January juicing detox could be exactly the reboot you need for a healthier start to 2019. A juice detox contains all the nutrients your body needs, so is designed to be taken as a fasting programme without any other foods. You do need to drink plenty of water, particularly at the start of the day where a glass of warm water and lemon is ideal. Unless you are doing a single day detox it is highly recommended that you prepare your body by cutting out some of the worst parts of your diet in the days before you start. This includes meat, cheese, sugar, alcohol and caffeine. If you are new to detoxing why not start with a single day? If you are already a healthy eater then the 3 day detox is recommended. To get maximum benefit, including weight loss, then o for one of the longer programmes at 5 or 7 days. If you want to find out more about the benefits of detoxing and how our programme works, then join our detox mailing list. Over the course of two weeks we will send you 7 emails providing all the information you need, including how to prepare for your detox, what you can expect during the programme, and how best to follow it up. Consultation with a healthcare professional is recommended before a juice cleanse, particularly for cleanses lasting longer than one day and for anyone with a health condition.